Killitorous—both a band and a tongue-in-cheek play on female anatomy—is currently touring in support of its forthcoming album, AfterParty. The technical death metal outfit has certainly been making rounds within the extreme music community, as a result of both their place of origin and unique thematic presence. Unfortunately, Canadian metal bands are few and far between, at least in comparison to the United States. Due to our country’s sparse major cities and extreme weather, bands trying to tour and make a name for themselves often struggle and end up remaining underground. Killitorous, however, have been seeing steady career success since their first EP, titled Pretend to Make Babies, dropped in 2010. Standing the test of time, the band is currently headlining a North American tour, with one of their last dates being at Piranha Bar in Montreal. The group’s live show certainly lives up to their aesthetic. Comprised of six members, the band crowded the Piranha Bar stage, but this blended well with their chaotic music. The sextet was one of the liveliest bands I’ve seen live, with their stereotypical headbanging and frontman Mark Phillips’s deranged composure. The combination of smoke effects, seizure-inducing lights and lively attitudes were three of the strongest aspects of the show. 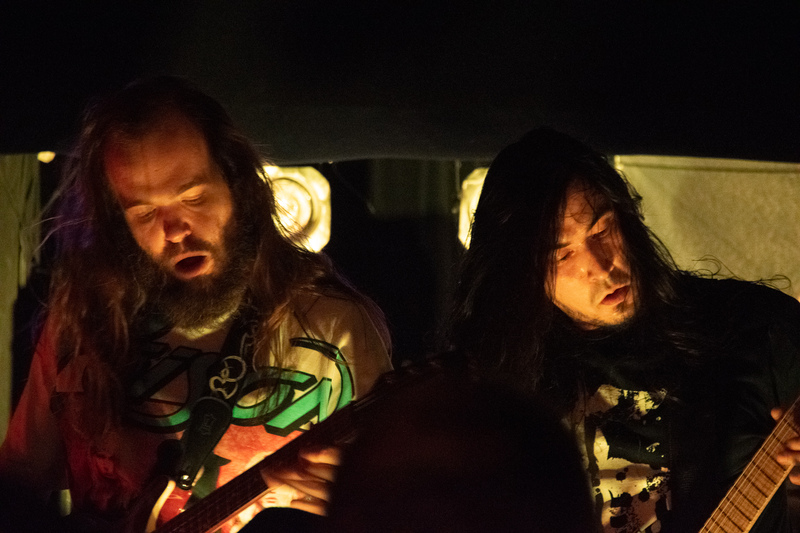 Killitorous’s music also transitioned well in a live setting, with their interchanging song sections going from blazingly fast to crushingly slow. They were, by far, the highlight of a night with three other bands. Killitorous has a handful of dates left on this tour. The band plans to finish recording their upcoming album, AfterParty, in the coming months, as it is set to release mid-2019.